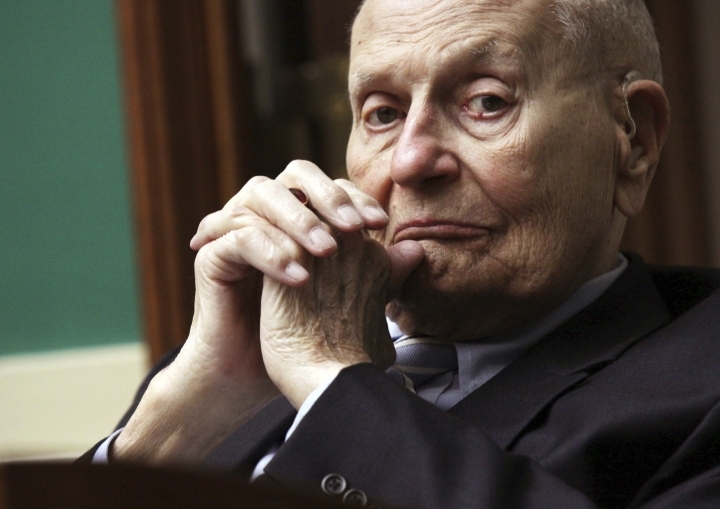 DEARBORN, Mich. — A public visitation will be held in Michigan to honor John Dingell, the longest-serving member of Congress in history, who died last week at age 92. The visitation will be Monday at Ford Community and Performing Arts Center in his hometown of Dearborn, a Detroit suburb. A funeral will be held Tuesday at a local church. His wife, Rep. Debbie Dingell, says another funeral will be held in Washington and that her husband will be interred at Arlington National Cemetery. Her office says former Vice President Joe Biden, Rep. John Lewis of Georgia and Rep. Fred Upton of Michigan will speak at the Tuesday service in Michigan. It says former President Bill Clinton, Rep. Steny Hoyer of Maryland and former House Speaker John Boehner of Ohio will speak at the Washington service Thursday. Dingell represented parts of southeastern Michigan in Congress for nearly 60 years before retiring in 2014.